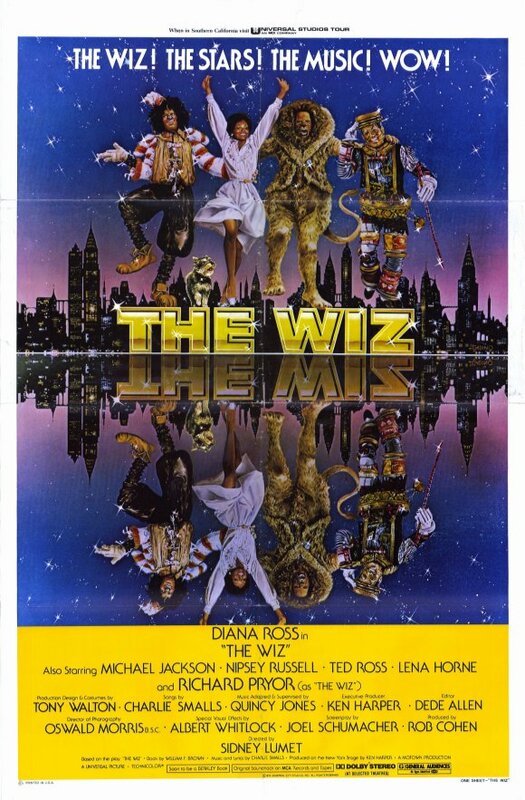 Posted on April 25, 2013, in 4-Icons, Fantasy, Musical and tagged 1978, Broadway, Charlie Smalls, Diana Ross, Joel Schumacher, L. Frank Baum, Lena Horne, Mabel King, Michael Jackson, Nipsey Russell, Richard Pryor, Sidney Lumet, Stage Adaptation, Stanley Greene, Ted Ross, The Wiz, Thelma Carpenter, Theresa Merritt, William F. Brown, Wizard of Oz. Bookmark the permalink. 1 Comment. I saw this in the cinema with my mother. It was a long time ago. How long? My mother considered Michael Jackson to be a positive influence.